I set up the “MadeByYou Sam pomaluj ceramikę” studio for people who value handicraft just like I do. So if you want to prepare a unique present yourself or to decorate your house in an unusual way, this is the place for you. Here, painting on ready-made ceramic forms such as mugs and cups, plates, vases, or figurines, you can create an exceptional piece yourself. You can also paint tiles – decorate your kitchen or bathroom with them and you’ll have your own one and only home gallery. The glazing and firing process makes the decorations durable so you can use the objects for what they were intended – you can eat and drink from them. 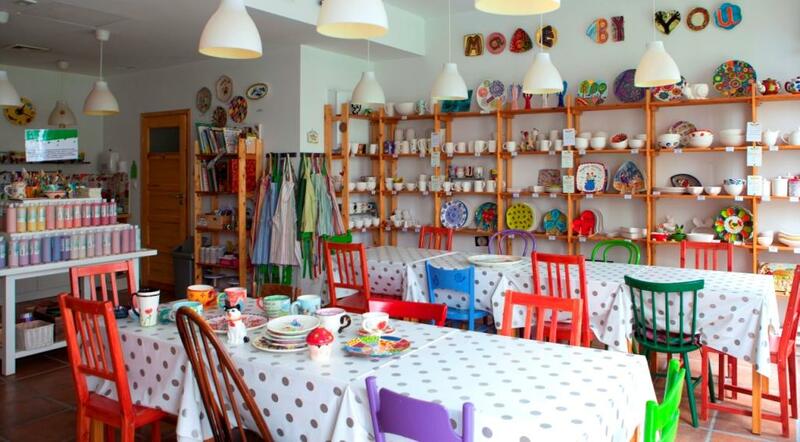 It doesn’t matter how old you are – just visit the “MadeByYou Sam pomaluj ceramikę” studio and you’ll discover your abilities. And you’ll have a good time in a creative way. Come and join us – everyone can paint, just do it your own way.